When the monsoons come to Goa on the western coast of India, they bring long spells of rain, thundershowers, and emerald green cover over fields and forests. They also herald the arrival of the much-awaited olmi—wild mushrooms that are available for a few weeks in July and August each year. The near-constant rain and high humidity makes these mushrooms grow on forest floors across the state. 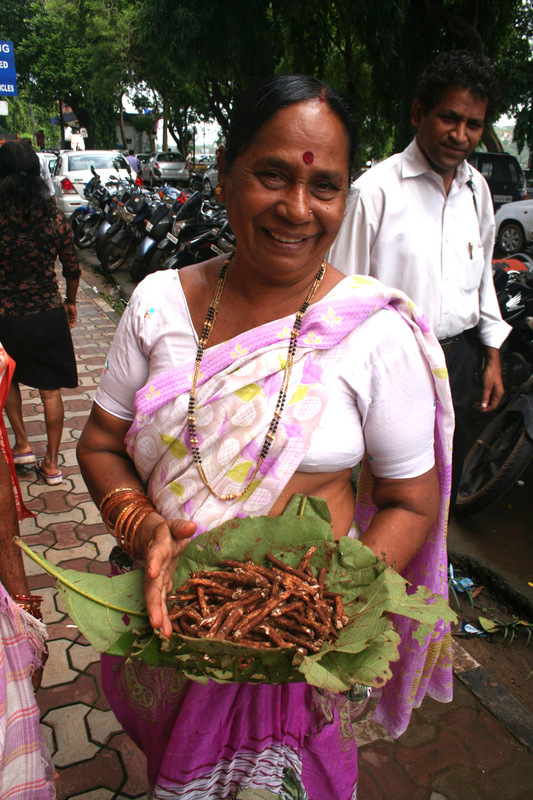 Villagers bordering the woods and forests of Goa harvest and sell these seasonal delicacies along streets and highways. 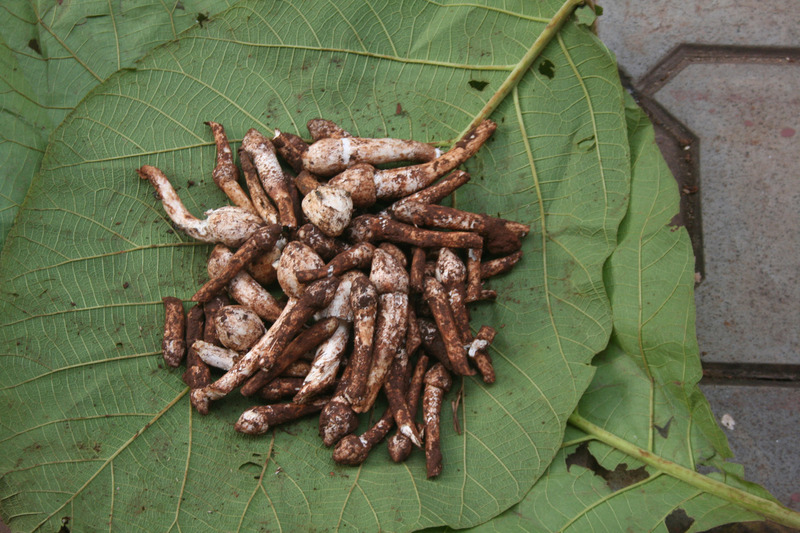 Wrapped in a pocket of large teak leaves and covered in a thick coat of red earth, the termitomyces mushrooms, as they are also known, are as organic as you can get. The edible mushrooms are called “termitomyces” for a reason: they grow only on termite hills in forests and orchards. This has made it nearly impossible to grow them artificially. “Termite hills are venerated as the spiritual abode of goddess Santeri by the local people in an age-old prehistoric fertility cult of the Earth mother goddess. 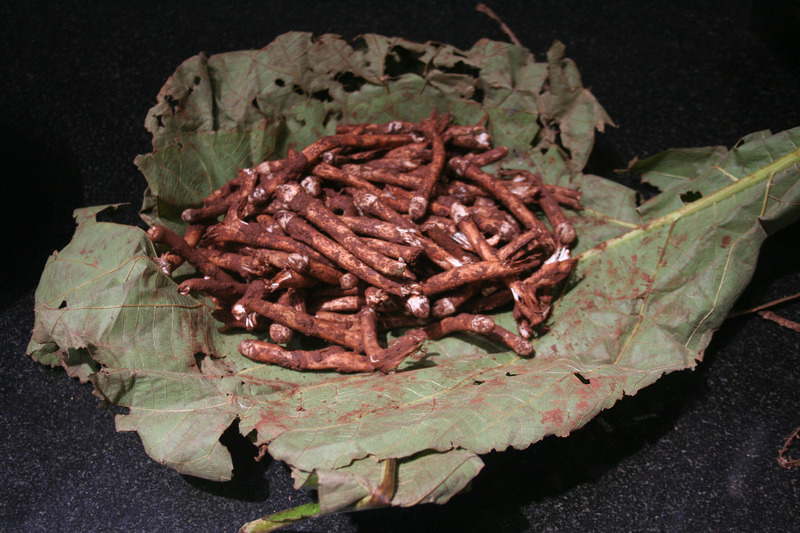 The cult of Santeri dates back to the Neolithic period,” explains Dr. Nandkumar Kamat, a microbiologist, professor at Goa University, and leading expert on wild mushrooms of Goa. He is one of the few people in the world to have done an extensive study of these wild mushrooms and has reported over 28 species of edible termitophilic fungi. The mythological lore once protected the sacred mounds, but an increasing demand for the mushrooms—along with skyrocketing prices—are destroying the natural ecosystem around the termite hills. In 1992, in order to protect the world’s largest gene pool of termitomyces from indiscriminate harvesting, the Government of Goa banned the picking of wild mushrooms. (It later clarified that the ban was extended only to wildlife sanctuaries in Goa.) 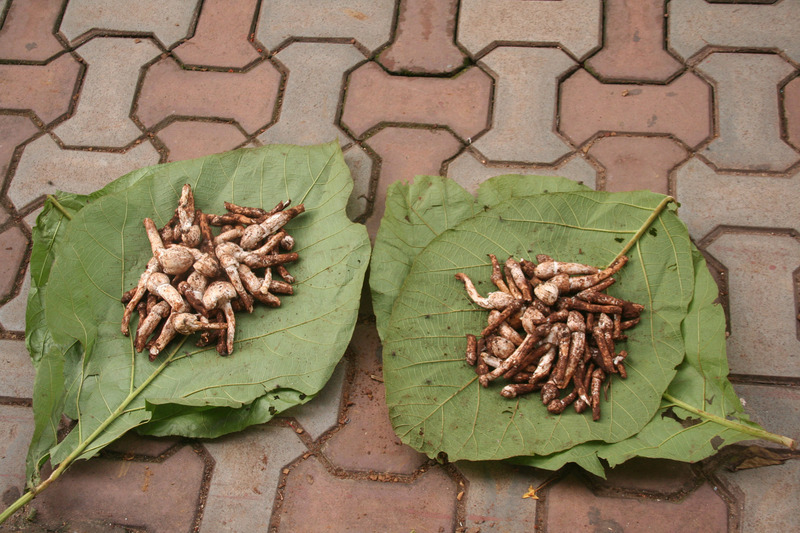 The ban, however, has had little or no effect, as villagers and forest dwellers continue to harvest the mushrooms and sell them openly. According to Kamat, ignorance of the ecology and an assured source of income motivates forest dwellers to harvest the mushrooms. 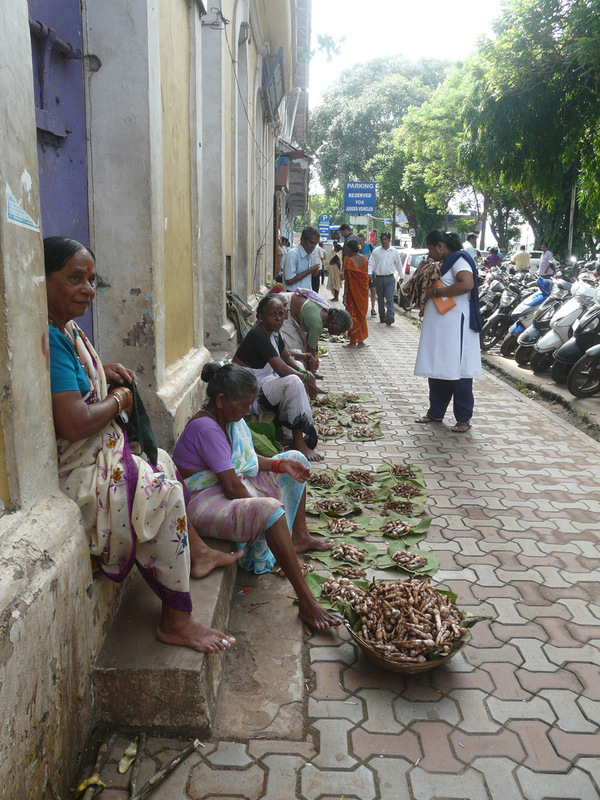 In Panjim, Goa’s capital, a neat line of hawkers display the phallic-shaped mushrooms on the pavement right outside the District and Sessions Court. Depending on the size of the mushrooms, a handful costs anything from 350 to 750 rupees (approximately US $5 to $12) for 50 mushrooms. The crazy prices don’t deter true devotees, though. They queue up, bargain, and buy the mushrooms several times in a season. That fear of the forest doesn’t stop these women from travelling dozens of kilometres to buy these mushrooms from villagers in the pre-dawn hours. They make a tidy profit from their sales, but ironically lament how the crop is getting worse each year.